DC Jack Mowbray (Ross Kemp, Ultimate Force) has seen a lot of disturbing things. But somehow he has never taken the job home--until now. A series of brutal murders changes Mowbray forever and may tear his family apart. Series 1 follows the hunt for a serial killer; Series 2, the search for a copycat. This UK ratings winner draws in viewers "like a spider gently pulling in its prey"--Liverpool Echo (UK). 12 episodes, 10 hrs, 4 DVDs, SDH. Mature audiences. A young woman is found murdered near the city's red-light district. Her husband quickly becomes the chief suspect, but DC Mowbray has his doubts. Meanwhile, the detectives learn about the brutal murder of three prostitutes in nearby south Wales. A joint investigation begins into all four murders, but questions quickly arise over the competency of the Welsh senior detective. Another murder back in Bristol breaks all the patterns of the previous killings--and comes uncomfortably close to Mowbray's own family. Tensions deepen between Mowbray and his wife, Sally, as the police launch their investigation into the latest killing. The murdered woman, a student, worked part-time at a pizza restaurant, where the detectives establish a link with the first victim in Wales. The police pursue a number of leads, but Mowbray strongly suspects Robert Jackson, a delivery driver with a previous record of violence against women. 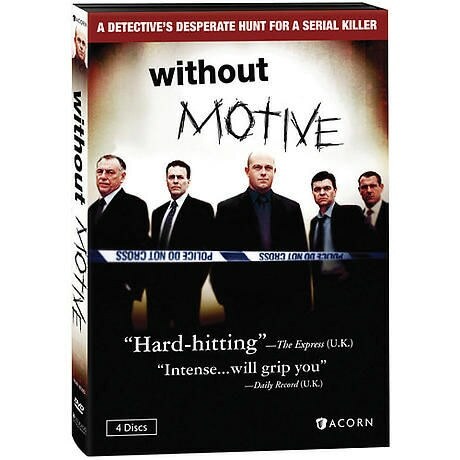 Mowbray's boss disagrees, however, and the detective must decide whether to charge Jackson. Another victim turns up, and morale among the investigating officers hits rock bottom. The stresses of the job force Mowbray to consult a therapist, but not before his actions drive Sally away from him. Adding to the pressure, the killer strikes again. Mowbray takes himself off the case, goes on leave, and tries to patch things up with Sally and the kids. While he's gone, the police make an arrest. DCS Henderson believes he has his man but needs a confession to be sure. Robert Jackson is convicted of murdering five women. A day later, another woman is killed in a similarly brutal manner. The detectives fall under pressure when questions arise about how Jackson had managed to slip through the police's net. The team investigates whether the latest murder was a revenge killing, a challenge to the police, or a copycat. Meanwhile, Mowbray and Henderson face their own court trial, and the detective has to decide whom he can trust. As Mowbray and Henderson head for trial, it appears that someone has been providing the prosecution with inside information. A senior police officer advises Mowbray to place truth over loyalty in the courtroom. Outside the courtroom, the killing continues. The investigation into the most recent murder brings about unforeseen consequences in high places. Cracks also begin to emerge in the case against Robert Jackson when Mowbray learns that crucial evidence had been suppressed. Jackson is released from prison and seeks to cash in on his celebrity, while the detectives have to sift through all the old evidence again. Finally, they get a breakthrough--a link between the latest killing and one of the Welsh murders. Henderson realizes the killer has to be someone they all know. As Mowbray closes in on a suspect, he alerts his family to the danger. In the end, it's a race to see who can get to their target first.